Here's an easy dinner that I can whip up in under an hour with a few kitchen staples. 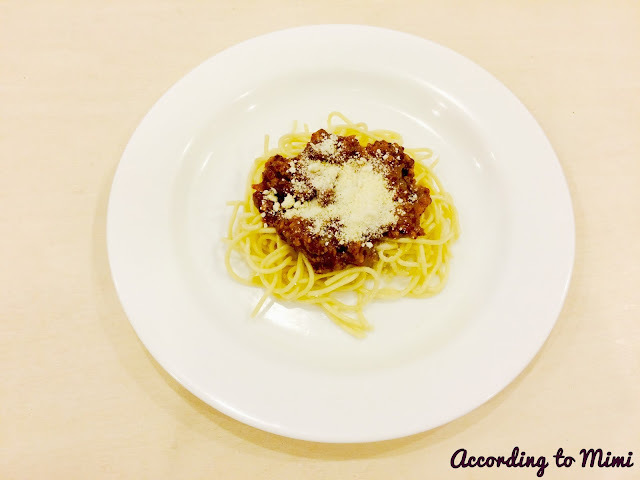 The recipe is taken from my trusty Edmond's Cookbook and with very minimal effort, you'll be holding a plate of delicious restaurant quality spaghetti. As a bonus, it's also a massive hit with the kids! Heat oil in a large frying pan. Add onion and cook until golden, stirring constantly. Stir in meat and quickly brown. Add tomato paste. Push tomatoes and juice through sieve. Add to pan. Stir in basil, oregano and water. Bring to the boil, reduce heat and cook uncovered for 45 minutes or until mixture is a thick sauce consistency. Season with salt and pepper to taste. 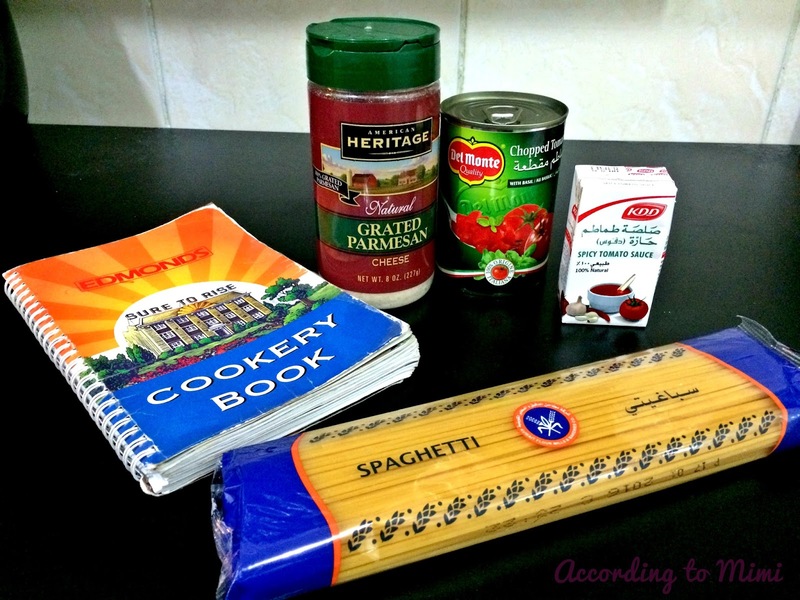 Serve over hot pasta garnished with parmesan cheese. I normally add 3-4 cloves of crushed garlic to the chopped onions and I don't bother measuring out the tomato paste and just use the entire pack, which is approximately 1/2 cup's worth. I find that I end up throwing out the unused tomato paste so I may as well add that to the sauce and use it up. (The extra tomato doesn't ruin the sauce in any way) I also use the entire 500g of spaghetti. It sounds like a lot of pasta, but even then, I end up with left over bolognese sauce. I guess I'm not eating the spaghetti right. Ha! Also, get the chopped canned tomatoes, it just makes life so much easier! Oh, please do and let me know how it turns out!